The Paint Color Testing Work Mat Rocks! Paint color testing product that comes with a work mat. Finally! The 15″x30″ work mat is made of sturdy poly paper. One side is shiny, the other matte. Paint shiny side up. Directions printed on matte side for easy reference. PAINT and DRY SPOT printed in fat letters and oriented for different viewing angles. 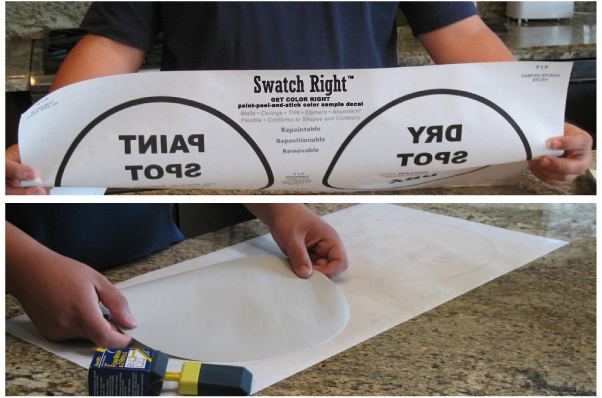 Swatch Kit includes 3 work mats — a fresh work mat for each Swatch Right Decal™. 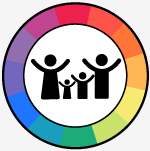 Paint color testing time but can’t find anything big enough to protect your work surface? Problem solved. 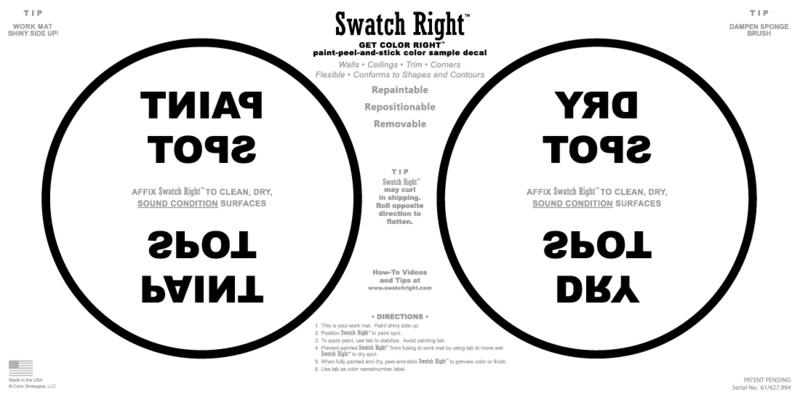 The Swatch Kit comes with three, 15″ x 30″ work mats, one for each paint color sample decal. The shiny poly paper is sturdy and waterproof so paint won’t wick through the work mat. Paint shiny side up because directions are printed on the matte side for your reference. “Paint Spot” and “Dry Spot” are printed in reverse on the matte side so when you turn the mat over, shiny side up, you can clearly read the words. Important so you properly place the decals in the paint spot for painting and then move to the dry spot for drying. Easy peasy and super efficient! Work mats are recycleable and can be reused many times to paint color sample decals.